I have had the privilege of meeting some fabulous sponsors these last two months! I have learned so much from these amazing bloggers! 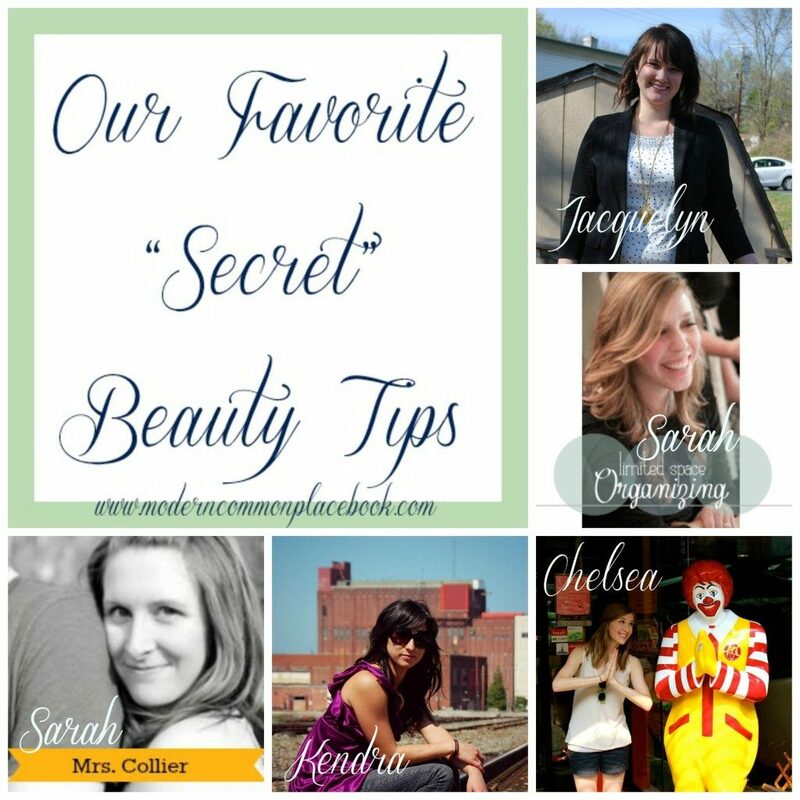 As a type of “Meet the Sponsors” post, I have asked them to share their favorite “secret” beauty tips. Along side this awesome collection of tips, we have a FABULOUS giveaway of some of our favorite beauty products! Enjoy learning from these wonderful women – and make sure to visit them and give them a warm welcome! I use Coconut Oil to take off my makeup. It is so simple and safe for sensitive skin. Plus, it moisturizes your face! Just a dab will do it. Warm a small amount of coconut oil in your fingers, rub all over your face and pay attention to the eyes to get the waterproof make up off, rinse and pat dry with a towel. My favorite beauty product is probably dry shampoo. I just discovered it about 2 months ago and I have no idea how I have been living without it! I have super long hair, that is fine and gets oily if I don’t wash it everyday. Dry shampoo takes that oil right away and I don’t have to wash my hair for a few days! It’s amazing! Instead of buying expensive serums and night creams, make your own! There are so many websites out there that sell essential oils. Research what each oil does and what you’re looking for such as anti-aging, hydrating, blemish control etc. Find out what oils work best for that problem then mix! My favorite beauty tips is to put deodorant on your feet to prevent blisters such as on the back of your heel, tops of toes, and the sides of the feet. I’m also a huge fan of homemade lemon and honey face masks. For me and my life, less is more. This same concept can be applied to my beauty routine. I’m all about what is quick and easy but still looks like I didn’t just roll out of bed. 1. Covergirls natureluxe gloss balm. My favorite color is Marble, one quick swipe moisturizes your lips like your favorite Chapstick while leaving a hint of pink behind. 2. 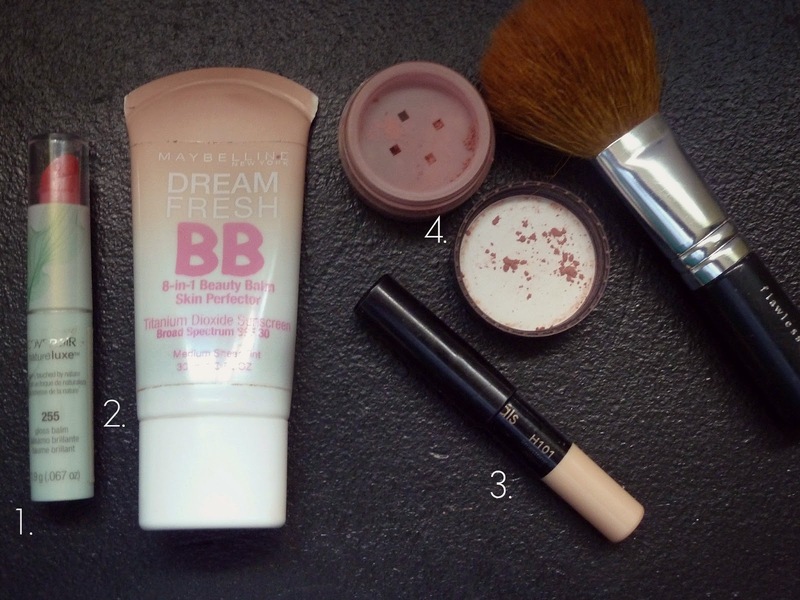 Maybelline BB cream with 30 SPF. I have never been one to wear foundation, it irritates my skin and leaves me shiny (no lady wants that.. am I right?) but this BB cream has me hooked. It’s light weight and the light tint leaves your skin tone even while protecting from the sun. Win Win. 3. My Aunt got me hooked on this highlighting pencil from Avon. I add a few quick strokes to my upper eyelid and inner eye. It brightens and highlights in little to no effort. 4. My Soft Focus Glee powder from Bare minerals, it is the perfect tone to brighten your cheekbones without looking like a clown. My beauty secret… accent your features quickly and efficiently. You guys know how much I LOVE Alba’s Very Emollient Sunless Tanner and EOS Lip Balm – SO we are giving away these two AWESOME products, along with a $10 Ulta Gift Card! This giveaway is linked up with some other fabulous giveaways – so make sure you check them out down below! This post is linked up with other Giveaways! Check them out here!